Sydney Errington Martin was born in Philadelphia in 1883. He earned the degree of Bachelor of Science in Architecture from the University of Pennsylvania with the Class of 1908. After graduation he worked, along with Donald Kirkpatrick, in Walter Thomas‘s firm of Thomas, Churchman, & Molitor. In 1911, he traveled to Europe to study and observe architecture. In 1914, Martin and Kirkpatrick opened their own firm. In 1919, they and Walter Thomas formed the firm of Thomas, Martin, and Kirkpatrick. After Kirkpatrick’s departure in 1931, Thomas and Martin remained together as Thomas and Martin. Martin worked independently from 1941 until 1954 when he joined several younger architects in opening a new firm, titled Martin, Stewart, and Noble. He retired in 1965. 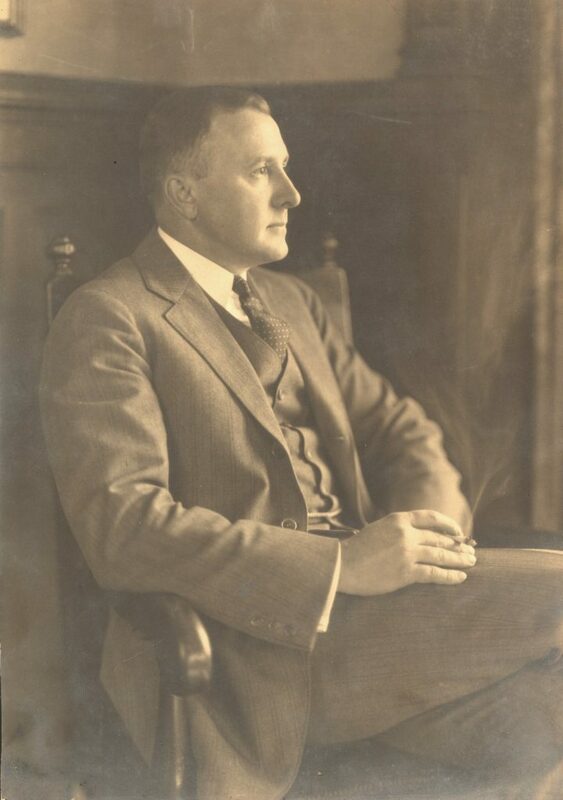 Martin was very active in a number of architectural and local organizations and served as president of the Fairmount Park Association from 1943 to 1954. With the two other Penn alumni in the firm of Thomas, Martin, and Kirkpatrick, Martin was involved in the design and construction of the Christian Association (built 1927-1929) on the Penn campus. All three partners in this firm were Penn alumni. Martin served as a trustee of the University from 1937 until his death, and for a time was chairman of the board of the School of Fine Arts. He received the Alumni Award of Merit in 1941 and the honorary degree of Doctor of Fine Arts from the University of Pennsylvania in 1957.